Once Upon a Time in Hollywood, the latest film from Quentin Tarantino, was announced in July 2017. Once Upon a Time in Hollywood is the ninth Tarantino movie, but the first to be made unaffiliated with Harvey Weinstein. A first teaser was released today but gives little away about the actual plot of the film. 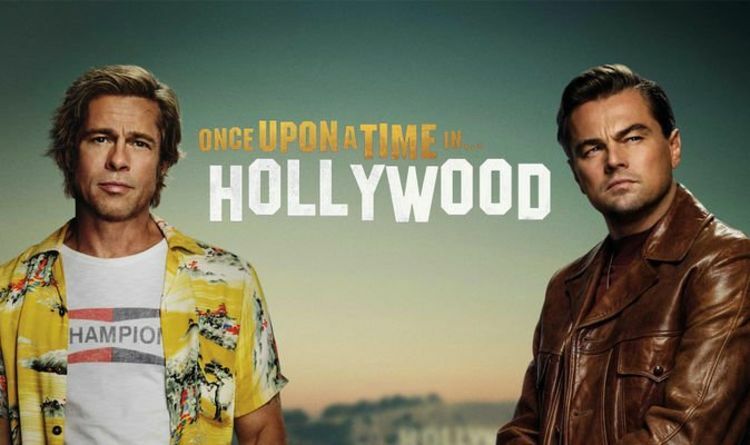 The official synopsis reads: “Once Upon a Time in Hollywood is a story that takes place in Los Angeles in 1969, at the height of hippy Hollywood. “The two lead characters are Rick Dalton (Leonardo DiCaprio), former star of a western TV series, and his long-time stunt double Cliff Booth (Brad Pitt). “Both are struggling to make it in a Hollywood they don’t recognise anymore. For those who don’t know, Sharon Tate – th wife of director Roman Polanski – was murdered in her home by followers of the Manson family. The trailer, however, does not give much of a hint towards how the plot will tie all of these disparate characters together. Who stars in Once Upon a Time in Hollywood? Al Pacino plays Marvin Shwarz, Dalton’s agent while Emile Hirsch plays Jay Sebring, a Hollywood hairstylist and friend of Tate. Damian Lewis plays Steve McQueen, an actor and friend of Sebring who was invited by him to Tate’s home for a dinner party the night of the murders, but he was unable to show up. Bruce Dern plays George Spahn, the 80-year-old nearly blind man who rented his Los Angeles ranch out to be used as a location for Westerns. Manson convinced Spahn to allow him and his followers to live on the ranch, in the months before Tate was murdered. Dakota Fanning plays Lynette “Squeaky” Fromme, a member of the infamous Manson family who obtained her nickname while living on Spahn’s ranch. She was not directly involved in the Tate murders. Scoot McNairy plays Business Bob Gilbert, a fictional cowboy character on Bounty Law. Luke Perry plays Wayne Maunder, an actor who co-starred on the western television series Lancer. This will be Perry’s final role; he died on March 4 from complications of a stroke. Damon Herriman plays Manson, the infamous leader of the Manson Family, who ordered the murder of Tate and her friends. Austin Butler plays Charles “Tex” Watson, a central member of the Manson family who, alongside three other members, was directly involved in the Tate murders. Lena Dunham plays Catherine Share, a member of the Manson family. In addition, the cast includes Maya Hawke as Flower Child, Clifton Collins Jr. as Ernesto “The Mexican” Vaquero, Nicholas Hammond as Sam Wanamaker, Spencer Garrett as Allen Kincade, Keith Jefferson as Land Pirate Keith, Eddie Perez as Land Pirate Eddie, Maurice Compte as Land Pirate Mao, Lew Temple as Land Pirate Lew, Lorenza Izzo as Francesca Cappuci, Margaret Qualley as Kitty Kat, Victoria Pedretti as Lulu, Madisen Beaty as Katie, and Zoë Bell as a stunt coordinator’s wife. Mike Moh plays Bruce Lee, who choreographed fight scenes for The Wrecking Crew, which starred Sharon Tate. Rafał Zawierucha plays Polanski, the acclaimed filmmaker and Tate’s husband, who was in Europe working on a film when she was murdered. Costa Ronin plays Wojciech Frykowski, the screenwriter and friend of Polanski, who, alongside his lover Abigail Folger, was murdered in Tate’s home by followers of Charles Manson. Samantha Robinson plays Folger, Frykowski‘s lover, as well as heiress to the Folger coffee fortune. She was murdered in Tate’s home by the followers of Manson. Rumer Willis plays Joanna Pettet, an actress and friend of Tate, who had lunch at her home, mere hours before the murders took place. Dreama Walker as Connie Stevens plays an actress who lived near Sharon Tate. Additionally, Tim Roth, Michael Madsen, Kurt Russell, Timothy Olyphant, James Marsden, Michael Vincent McHugh, Julia Butters, James Remar, Martin Kove, Brenda Vaccaro, Nichole Galicia, Craig Stark, Marco Rodríguez, Ramón Franco, Raul Cardona, Danny Strong, Sydney Sweeney, Clu Gulager, Mikey Madison, Inbal Arimav, Natalie Cohen, Rachel Redleaf, Kansas Bowling, Parker Love Bowling, Daniella Pick, and Rebecca Rittenhouse have all been cast in unspecified roles. Once Upon a Time in Hollywood is out in cinemas on August 14, 2019. Bohemian Rhapsody 2: Will there be a sequel to SHOCK hit Bohemian Rhapsody?